Effective immediately, Apple TV (3rd generation), MD/199LL/A, has reached end of life and is now discontinued. The Apple Supply team is going to fulfill all shippable backlog. 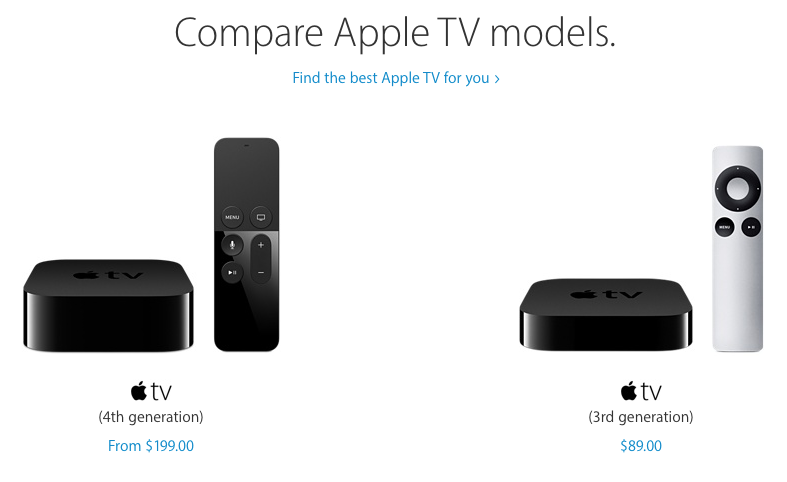 Previously, the ‘Buy Apple TV’ page, once scrolled down, would compare both the third-gen and latest fourth-gen models. 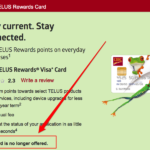 However, that comparison is no longer listed. Don’t be sad just yet though, as Apple’s online refurbished store still has the Apple TV 3 available, for $79. These are literally good as new, except they don’t come with the shiny retail packaging. Is the latest Apple TV worth it, over the third-generation? We’ve been using the 4th-gen since launch, and it’s been fantastic. Having access to tvOS apps changes the game, plus the remote with touchpad (and Siri) makes navigation much easier.